Until the beginning of the 20th century, the term “vitamin” wasn’t exactly popular. Casimir Funk was the first person to coin the term when he had successfully isolated a nutrient from rice husks. The word “vitamin” originally came from the combination of the Latin word “vita” which means “life” and the compound “amine”. 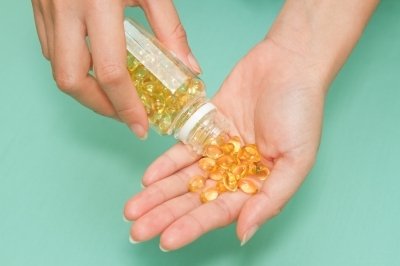 20 years later, in the mid-1930’s, the earliest vitamin supplements were introduced to the market. It wasn’t, however, until the 1970’s that vitamin supplements leapt their way to popularity. The popularity of these products materialised through the efforts of double Nobel laureate and prominent chemist Linus Pauling. Today vitamin supplements have grown to be a multibillion dollar industry and a household term, nonetheless. Still, most people ask the age old question of whether or not these supplements actually work. And if they do, then the question remains: How and by how much? What pill takers must understand is that these products are fundamentally designed to supplement any existing vitamin deficit. Note, however, that vitamin supplements are not prepared to replace the essential nutrient that only whole foods can supply to your body. Sufficient amounts of related clinical studies have confirmed the many health benefits of supplementing nutrients that are lacking in your daily diet. The truth still stands, however, that although vitamin supplements can fill nutrition gaps in your diet, it is short-sighted to think that ensuring good health only requires popping a pill every now and then. Among the most marketed vitamins of today include the following. • Vitamin C which improves immunity and build connective tissues. • Vitamin A which improves immunity and promotes growth in the human body. • Vitamin D which improve bone strength. • B -Vitamins which supplies energy to the body. Hinterland Chiropractic has its 18 year old chiropractic practice built in the cornerstone of advancing good health. Striving to provide the very best family healthcare, your Chiropractor Gold Coast provides only the safest and most efficient chiropractic treatment. Book an appointment with your Chiropractor Gold Coast Today!